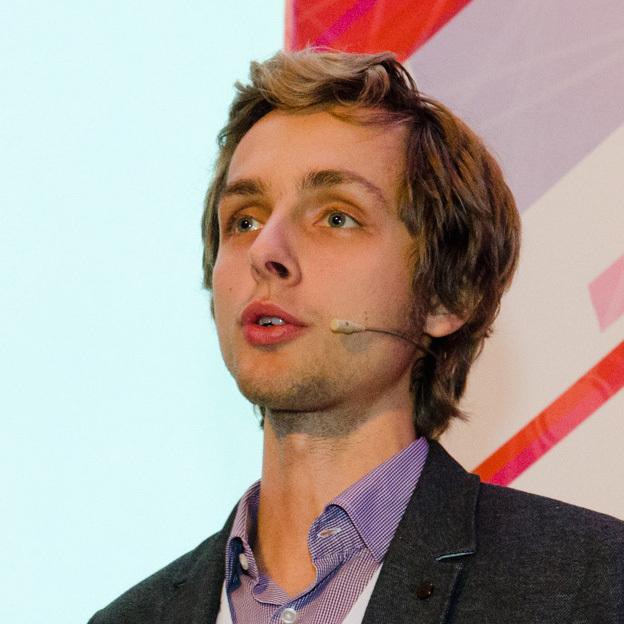 Ivan Mazour is a London based serial entrepreneur, investor, author and is a Co-Founder / CEO of OMETRIA: A predictive ecommerce marketing platform that helps mid-tier e-tailers build data-driven customer acquisition and retention strategy. He is also the founding partner of Innova Kapital, an early stage VC firm investing in UK-based technology startups. I talk with Ivan Mazour, Co-founder and CEO of Ometria, an innovative eCommerce Customer Lifecycle Marketing company that combines predictive software and eCommerce marketing expertise to help mid-tier or enterprise ecommerce businesses execute data-driven customer acquisition and retention strategies that are hugely personalized. We start with how and why the company began and break down their customer marketing solutions into two parts. We then go on to cover such topics as key data points, core metrics and how to respond to the data. We finish up on customer success, customer lifetime value and about the Basic and Professional packages that Ometria currently offers to mid-tier e-tailers. We found in e-commerce the number one problem was the data about the customers was in too many places and that marketing strategies were not actioning that data. So, Ometria can be split into two parts. Because we have the integration with everything else necessary to put in and we have the single customer view, we have the ability to give you answers to all of those questions within the platform itself. Part 2: Full Marketing Automation Solution. We have the full marketing automation solution built-in, so we will deliver triggered personalized emails with product recommendations that we power based on browsing behavior, email behavior, historical purchases. The automation part acts on the customer insight part and actively drives additional measurable revenue to businesses. We’re not a cost to business like an analytics tool would be. We are actually generating money, we’re very much ROI positive. We apply a Bayesian statistic model to every single data point we have about the customer to predict when is the most likely time for them to next purchase, and then what is the most likely average order value of that purchase. And at some point there becomes no likelihood of them purchasing again, effectively what that Customer Lifetime Value is. We’re finding these days that although for an individual customer it is much harder to get that level of accuracy, for the overall business once you aggregate the predicted lifetime value of the overall business, we’re typically 4% out. So that’s the accuracy that we can predict for your next year’s total revenue based on your performance now. 3. Customer Acquisition vs Retention? The cutoff for us is if you haven’t got about 10,000 people on email or Facebook, then right now your best that is just to go and spend more money on what ever paid channels you can find to build that contact list up. When the data set is too low, there’s no point in spending time optimizing or A/B testing. Whether it’s big data or whether it’s small data, the point is, what are the actionable benefits of the business that retailers are able to drive using data? Continual improvement, integration, execution development. Over time you can add more complexities like refunds, multichannel retailing, and off-line transactions. Autonomous lifecycle marketing strategy with individualized/personalized responses using all of the data: Ometria does this for you. Focus on retention and getting an existing customer to buy again: What is my lapsing time period? Even before that you work out the channels that drive you low value customers, cut that out and double-down on the channels that are driving the right, high value customers. Personalized individual communication based on a model that increases the chances of a customer buying again. Set up a campaign geared towards the customers you already have. Currently well over 100 broad range of the types of retailers and e-commmerce businesses, from cutting-edge start-ups to 260 year old companies. £800 per month Basic tier package for companies who are running one of Magento, Shopify, or Spree, and who are using one of the standard ESP’s. Limited automation features. Currently located in the West End of London to present ourselves to customers as a very strong enterprise software company: people are trusting us with really important customer data. Mid-tier businesses need to ensure that every single message that you send to your customers is personalized based on what should be sent to them right now. Absolutely stop doing anything that is going to have a chance of delivering to them a message that they’re not going to want to see: there are a many ways for them to unsubscribe. The number one problem was the data about the customers was in too many places and that marketing strategies were not actioning that data. Spend as much as possible on customer acquisition for the beginning until I could build up a list of at least 10,000 people. You got this amazing hero customer segment, just find out how you can get more of those guys, where did they come from, how do you get them to spend more money? 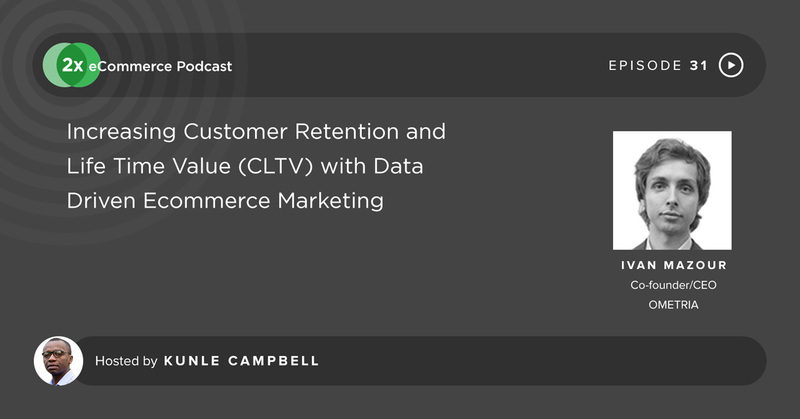 On this episode of the 2X eCommerce podcast show I speak with the founder and CEO of data driven e-commerce marketing Ometria. I quiz him about how to go about scaling a mid-tier e-commerce business by having a better understanding of each customer in order to send them a more personalized yet automated set of messages and offers. Do stay tuned! [Intro clip] Welcome to the 2X eCommerce podcast show where we interview founders of fast growing seven and eight figure eCommerce businesses and eCommerce experts. They’ll tell their stories, share how they 2X’d their businesses and inspire you to take action in your own online retail business today. And now, here he is, the man in the mix, Kunle Campbell. Kunle: Hi 2Xers, welcome to the 2X eCommerce podcast show. I'm your host in Kunle Campbell and this is the eCommerce podcast show dedicated to rapid growth in online retail. Now this is not for enterprise neither is it for micro e-tailers. This show is geared to helping ambitious online retailers looking at scaling by 2X, 3X, or even 10X. I handpick the guests that come on the show to share their expertise and experience. And my criteria is based on one question, 'Can my guest provide valuable information and insights to help you, my fellow listeners, grow metrics such as your conversions, your average order value, repeat customers, traffic and ultimately sales. If they can then I try my best to get them on the show. Today's show is particularly quite interesting. This because, if you're signed up to my newsletter, you know how I bang on about repeat customers being fundamental to achieving eCommerce success, and how repeat customers are truly the lifeblood of most eCommerce businesses. Today's guest is a very special or clever individual, he attended the most prestigious independent senior school or high school in the UK called Eton College by academic merit. He has a British Mensa IQ of 175, studied mathematics at Cambridge University, and whilst at Cambridge he joined and was president of Cambridge University's Technology and Enterprise Club. It's where he learned how to build and grow scalable tech startups. Upon graduating he launched this business called Ometria where he's one of four Cofounders. Ometria is a predictive eCommerce marketing platform that helps mid-tier retailers drive and increase customer retention by helping them identify their hero customers, repeat versus new customers, lapse and periods between sales, key customer retention metrics at both the granular customer level as well as in segment and holistically. [inaudible 00:03:30] the identification of these metrics, it can segment your database and send highly customized and targeted messages to each customer. This is a special episode for those of you really interested in improving customer retention so grab your pens and notepads and be prepared to take loads of notes. Ivan Mazour is a London-based serial entrepreneur, investor, author, and the founder and CEO of Ometria, a predictive eCommerce marketing platform that helps mid-tier e-tailer's just like yourselves build data driven customer acquisition and retention strategy. He is the Founding Partner of Innova Kapital, an early-stage VC firm investing in UK-based technology startups. So I'm going to first of all welcome you, it's a pleasure to have you on the show Ivan. Could you take a minute or two to tell our listeners a bit about yourself. Ivan: Thanks for having me on the show Kunle. I'm excited to be here, I'm excited to talk to you right now about eCommerce marketing strategies and about what I've learnt over the last couple of years about how the best online retailers really do grow extremely quickly. I guess I'm a Russian-born but London-based entrepreneur. I came here when I was eight years old. My mother decided that the best possible education would be in the UK. Both my parents had PhD's so I was always focused on academia and my mother's PhD was in Mathematics so for her the pinnacle of achievement was to study mathematics at the University of Cambridge. And so she brought me here to do that and 10 years later I did. But academia wasn't quite what I guess I saw myself doing, so for the last almost a decade really I have been starting a number of companies. And Ometria is by far the biggest of all the things I've ever done. Kunle: Let's take a step back. Because on your personal website… You guys if you're listening it's IvanMazour.com I will link to it in the show notes. And I was on your About page. You came into England, you went to Eton, that's the best school in the country. Ivan: I did, I did. So actually there was a really long process to get there. So when I came I was eight years old, I basically didn't speak English. I sort of knew a few words, so I went to a so-called International Community School, where none of us spoke English so that was good. And slowly but surely started to pick up the language, pick up some of the subjects that we didn't study in Russia like French. By the time I came, everyone here was already studying French and stuff, and then my mother again was smart enough to realize that actually the kind of main British education was the way to go and that the international education was unlikely to get me into Cambridge. So she fought for very long time while I was there studying away, she fought to finally get me into the school called Westminster Under School. I came in there at the age of 11 when they didn't normally have take in. And then for the next two years, between 11 and 13, I basically did nothing but study because I had to learn Latin and ancient Greek in two years in order to get into Eton. And I was the first Russian King's Scholar, and so obviously lots of people are from Russian descent and so on but I was the first person to get a King's Scholarship that actually Russian, straight from Russia, you know I was fresh off the boat as it gets basically to get the King's Scholarship at Eton. Ended up going there at the age of 13. Had a crazy five years of becoming part of this immensely established historical school and academic establishment. Met some great friends there, learnt some amazing things. I did six A-levels at the time when people were only doing three, just to make really sure that I would get to where I wanted. And finally got accepted by Girton College Cambridge to go and study Maths up there. Kunle: And you forgot to mention you were an author already by 11 or 12? Ivan: Yeah, that's right. So I've always liked to write. As you can see by my blog, I mean I'm writing all the time now as well. It's hard because my focus is in metrics so there’s little time, I'm doing less and less writing as the company gets bigger and bigger. But I did write a children's book, actually a series of children's books. I got through three of a much bigger series that I had planned but then I basically ran out of time, had to study all those things that I was talking about. But the three books were very cool, they were basically by a child for children. And I guess the coolest thing about all of this is actually they were used at one point as an educational tool in a whole range of schools in California. This is like 20 years ago now we're talking, but it was actually used as a resource which was amazing because one was about Siberia, one was about the flora and fauna under the sea, and one was about space you know, inspiring kids to think about what is possible out there. Kunle: Remarkable. And then further down in your life you wrote another book 'Russian Convoys: Memories of the Heart'. Kunle: How old were you at the time? Ivan: That was recent actually. That came out if I remember correctly in 2009, so that would've been about five years ago, I would've been about 25. So there my passion was to try and be aware. I feel like I'm from two countries. I'm from the UK because I spent my life here, but I am Russian by birth. My parents are very much Russian, I feel connected to the country of my birth. And I actually wanted to see whether there was some point in the history of both of our countries where we worked closely together, where we were tied together as nations. And actually in everything that I researched, the Lend - Lease Program of World War II was that time. It was a time when Britain was helping out the Soviet Union for the military offense and defense on the other side of the war to not fail, to not fall down. And you know Russia is a massive country and we had a lot of people but we didn't have the technology, we didn't have the equipment, and Britain provided that support. But what was fascinating was interviewing all of the different individual veterans, because they are all very, very old, they're all barely able to describe what happened and these were the final years to be able to get the story directly from them and be able to put it in a book like this. And actually after my book came out there was an amazing TV show which was nothing to do with my book, but there was an amazing BBC documentary about the same thing where again the same veterans were interviewed. And I remember an amazing moment where, I think this was 2010 now, where a large number of veterans were given medals. And they were presented on the HML Belfast and my book was actually presented to them alongside the metal, which was just you know, inspiring. Kunle: Well done. Well done on that. I just wanted to give the listeners a bit of context about who you are, and you're also a founder of several successful businesses, some in real estate, some in software. And Ometria's your new thing. Could you tell us more about Ometria? You’re London-based. Looking at your profile you received $2.6 million worth of funding in three Rounds, according to your CrunchBase profile. So what exactly is Ometria? I was a bit confused because I had Tristan Handy from RJ Metrics on here and that's like one of my most insightful interviews with regards to just growth in e-commerce. And I was like okay, what other similar companies in the landscape are there? And then Ometria popped up. By the way Ometria has been popping up on my radar for a while, for the last year and a half I think. So please tell our listeners about Ometria and why you think there's a gap for mid-tier e-tailers which Ometria is going to fill? Ivan: Well I mean first of all I'm really, really glad to hear that Ometria's been popping up on your radar for the last couple of years. So we started just over two years ago, February 2013. I'd just gone back to Cambridge to do another year; I basically decided after starting a number of businesses in real estate, in education, I realized my passion was really technology and that I was going to be able to start a company in technology. There was no reason why I shouldn't be able to do it, especially with a background in mathematics. So I went back to Cambridge, did another year, this was 2011 and 2012. And I okay, 'data' - huge right now, plus matches the background. Software's the service. I built a SaaS app before, it was very small, it's called 42tasks. It was a task management app. It wasn't a big company, there was a couple of us doing this, so I thought okay, how do we make something really big in data and in SaaS. And then I spent a while, about three months looking at all the different possible markets and industries to which this could be applied, and e-commerce popped up as such a huge market and such a huge opportunity and the place where data wasn't quite being leveraged in the way that it should be. So there was some great analytics companies. I mean obviously Google analytics was free and gave everyone insight into the core web metrics. You had KISSmetrics who would be able to tell you a bit more about customers and co-analysis and things like that. There was RJ Metrics who had this amazing BI dashboard that would give you, as you start scaling as you start building more and more operational complexity, would give you the visibility that you needed. The bit that we found that was missing… You know I brought in my previous cofounder from my last business from Innova Kapital and I managed to find the most amazing two entrepreneurs to join us so there's actually for cofounders in Ometria. And what we found was that in e-commerce the number one, and this problem was discovered by actually speaking to 200 separate online retailers and noting down their answers, the number one problem was the data about the customers was in too many places and that marketing strategies were not actioning that data. So consider, you got an online store right, you have an e-commerce platform Magento, you'll have a web analytics tool - which ever one of the ones mentioned you are using, you have an email service provider like a Mailchimp. As you get bigger, you have an ERP which plugs in, which will have things like your stock data and returns and things like that. You have Excel spreadsheets all over the place trying to link all of the stuff together and so you end up with no single customer view, and there's absolutely no way for your marketing to be data-driven, it's all manual. And so we thought, 'Let's solve that.' And that's what we did. So we built Ometria and by the end of 2013 the product was ready in beta and we started going out to the market and seeing how people would react to it, and they really loved it. Imagine being able to have all the things that I've talked about in one place. So for every single one of your customers, you have them profiled. You know that this is Ivan, he's on the website, he likes blue shirts, he hasn't bought them in a while but he typically buys them with regularity, here's his premium nest level, we have all the historical transactions, we have the entire product taxonomy in the system, we know that he's been opening emails but he hasn't been clicking through, we know that we can now start talking to him. So we can automate email messages to him, we can put him in a Facebook Custom Audience in order to retarget. All of this within one singular system. It's basically like the most amazing tool for marketing. Kunle: Okay. That's quite a lot in one package. Could you break down the modules in Ometria, in the sense that you said you could send emails. So does that mean email marketing is redundant, so buying third-party email automation systems will be redundant if we use Ometria? Or is it just an addition to another layer with an email system? So could you break down all the core modules for the user, or typical e-commerce company will have at their disposal when they are on Ometria? All of this information is provided by Ometria. Because we have the integration with everything else necessary to put in and we have the single customer view, we have the ability to give you answers to all of those questions within the platform itself. So that's kind of module one as it were but really it's all one big tool. If you are to split it into two modules, the second module is the marketing automation part. Because insights on their own, it's like you get far enough but at some point someone's going to ask, 'So what?' Right? Like you see all of this data, this insight, and then you know the marketing manager's sitting there going, 'Cool, that's really useful. Now what do I do with it?' And so we solve that problem by showing we have the full marketing automation solution built-in, so we will deliver triggered personalized emails. Fully personalize with product recommendations that we power based on browsing behavior, email behavior, historical purchases, based on all of that. And we will deliver an update through Facebook stuff, some audience technology, to be able to retarget very relevant people with the most relevant thing for them. And so the automation side acts on all of that insight and actively drives additional measurable revenue to those specific businesses. Which makes it a no-brainer to use us because we're not a cost to the business like an analytics tool would be. We are actually generating the money, we’re very much ROI positive. Ivan: It's completely plug-and-play for anyone on Magento, on Shopify, on Spree, on a hybrid. Basically, if you are on a standard off-the-shelf platform, this can be done you know, depending on which one, from five minutes to couple of hours. Magento and Shopify - literally five minutes. Custom sites - we have no problem with, it just means you have to connect to our API, so a developer has to go and plug some things in. Kunle: I'm on your 'Why Ometria?' page and there's an image here of the customer labeled with the number 3426. And next to it is a customer with a picture who likes dresses with Ometria now. But before who is just a plain customer and then the after is Jess, she is a potential hero, has an iPad, she likes dresses, and we got her Facebook ID. And there is a journey there of emails. Re-engagement, lapsing - she's classified as a risk and then receives an email and then she clicks. And then there's a predicted CLV - Customer Lifetime Value. How did you go about predicting CLV? It varies according to your product offering because replenishables would be different to higher value items which you buy every decade, like furniture or the sofa for instance. So how can you predict CLV with Ometria? Ivan: Sure. So predictive CLV is based on a mathematical… So one of my closest friends from Cambridge is actually a data scientist, so he's been working on this model for years and years. Fundamentally we apply a Bayesian statistic model to every single data point we have about the customer, which means all of those interactions with the site and transactions and so on. And I guess in the most simplified way of explaining it, so it's called a Bayesian geometric model, what that means is that we're going to predict when is the most likely time for them to next purchase, and then what is the most likely average order value of that purchase. And at some point there becomes no likelihood of them purchasing again, and that is effectively what that Customer Lifetime Value would end up being calculated to. So that model is then run across all of the individual retailers, so we don't combine retailer data. We're very much first party platform, where a platform that each individual retailer uses to analyze their own customers. We had a very stringent protection to make sure that that doesn't leak into any other account. But we can apply that to all of the customers of the particular retailer and we can measure that performance by saying, 'Okay, if we were to evaluate it at the beginning of 2015, let's see if that's accurate compared to the end of 2015.' And we've been optimizing the model as we go along, making it more and more accurate. We're finding these days that although for an individual customer it is much harder to get that level of accuracy, for the overall business once you aggregate the predicted lifetime value of the overall business, we're typically 4% out. So that's the accuracy that we can predict for your next year's total revenue based on your performance now. Kunle: That makes a lot of sense, okay. Most of our listeners are fairly established mid-tier online retailers; I just wanted to have your take on customer acquisition, where they should focus their energies, versus retention from this context. So some of them are doing 2 - 5 - 10 million dollars or pounds a year in revenue. Where should they focus a lot of their energies? So they're you know, working on AdWords, doing the PLA campaigns, they're quite competent with search, they're working on social media, so they're direct response advertising is kind of near optimal in that respect. So where do you think they should focus on, acquisition or retention? Ivan: Will this is one of my favorite topics actually. I very often speak to smaller retailers who will come along to maybe our website or maybe even get introduced in some sort of way. And they're like, 'We love what you're doing in Ometria, we've seen all your case studies, all these amazing results. We want to do it.' And I ask, 'What's your turnover? What's your customer base?' And they sort of say,' Well we've got 5,000 contacts on our mailing list and we're growing very nicely.' And I'm like, 'Dude, 5,000 contacts? Go and spend your money on AdWords. There is no point in spending any money on Ometria, it's just a total waste of your time, of your resources, of everything else.' Basically the way that we see it, the cutoff for us is if you haven't got about 10,000 people to start contacting, so whether it be on email or you know, Facebook and so on, but if you haven't got that database, that contact list, that customer list, then right now your best bet is just to go and spend more money on what ever paid channels you can find. AdWords are obviously great, just go and spend it on everything because you can build that up. Once you've built it up, we can start optimizing. But when the data set is too low, there's no point in spending time optimizing. Kunle: So, sorry, 10,000 contacts or 10,000 sales? Ivan: Wrong, completely wrong; 50 people coming to your website a day, you're never going to get anywhere with that kind of testing. So that's what I mean, honestly it's such a favorite topic of mine because if I were to start an e-commerce business, I believe I'd... You know I don't even know if I'd be able to do extremely well, there's lots of things I don't know about e-commerce, but in terms of e-commerce marketing I know that I would absolutely have a budget, I would spend it as much as possible on customer acquisition for the beginning until I could build up a list of at least 10,000 people. Kunle: I'm going to go off script here,	because I have some questions I've listed out here. You just mentioned the fact that… If you were to start an e-commerce business, what kind of e-commerce business would you start up? Are you an investor in the VC company, with the angel investment company, are you invest in any e-commerce businesses and what kind of e-commerce businesses actually excite you at the minute? Ivan: Sure, so actually out of the investments I've made only a few have failed and two of them were the e-commerce businesses that I invested in. And do you know what, that's fine, I'm very happy about it because they were actually an inspiration, they really taught me so much about why Ometria was a requirement. So, although there was a loss of portfolio in theory, I've got some really nice successful ones that I'm moving through the system so it's fine, but these losses were so instrumental in helping me understand these challenges that we now solve. But you know what, if I were to start/invest in and e-commerce business, first of all: no stock. That's like the priority basically. I mean, stock seems like a good idea and actually I have some friends that are running very successful stock holding businesses right now, had an amazing Series A and Series B from the best investors in London, and they're doing extremely well. But that's a sort of one-off. Really you want to build a model that's like (inaudible: lists? 00:26:25) , right, 40+ million funding in their latest round, the don't hold any stock, all they are is a supersmart data and marketing front end. So that's kind of step one, I guess. Step two is high average order value. That's absolutely vital as well. You just don't want to be messing around where your average order is 5 pounds per order, right? Kunle: So how would you define high? Kunle: Build to order or something, yeah. Ivan: Build to order or even an affiliate play if you can do it in the right way. Basically if you got that going on then you're in business, right. Then eventually it's a machine, it's a funnel, you pour money on the top, more money comes out, you go to investors and you say, 'Guys, I need 100 million right now because this is going to be huge.' that's awesome, I mean that's the way to go. Kunle: I had the guys from Lost My Name, the storybook, the personalized storybook, Asi Sharabi on the show last week, it's yet to go live by the way. And they called their model a full stack e-commerce business in the sense that they build everything to order, so zero inventory as you said. And some people order on their website and then they basically fire on the press, print it to order, and then shipped to customers. And their margins are phenomenal; you can imagine that they're wide. I think it's 18 pounds a book. The other thing is they've sold 10 million pounds worth of books in the last three years on a single title. Ivan: See, that's the perfect model right, because they take the cash up front. Somebody orders it on the website, they put money in their bank and then they pay a little bit of it, whatever the negative part of the margin there is, they pay that to the supplier probably like 60 days later. So therefore this is amazing working capital, I mean they basically probably never raised funding right, they just keep spending money on some marketing, more people come and they got the 60 day buffer to keep going. That is literally the perfect model. Kunle: Okay, okay. Fantastic. And that pretty much covers how mid-tier retailers remain competitive, you know, how can they remain competitive; I was going to ask you a question on that. So, ‘big data’. It's a buzzword. I was at Silicon Valley Comes To Oxford, I'm based in Oxford, I live in Oxford and I was at Silicon Valley Comes To Oxford. And the big thing last year was big data. Now, how can mid-tier retailers harness big data? From your perspective, from the amount of traffic coming in, would their traffic really qualify as big data? Or do you think personalization is more where they should direct their energies to? Could you just clarify the concept of big data, personalization, and technologies where you think mid-tier retailers should focus their energies on? Ivan: Yeah absolutely. Also Silicon Valley Comes To The UK is amazing. So again, another one of the inspirations for Ometria was Silicon Valley Comes To Cambridge 2012. There was a big panel on big data. Reid Hoffman from LinkedIn was on the panel and he was talking about the future, it was absolutely incredible. So first of all, Sherry Coutu's whole entire Silicon Valley Comes To The UK thing is amazing, and obviously, To Cambridge. But big data has been that buzzword from the moment I wanted to start Ometria, it's one of the reasons I wanted to do it. And then very quickly realized that no, the states is not big at all. You know, if we were running Palentir here then we'd really be able to call ourselves a big data company, right, those guys they're doing some real big data. What we do is very much medium data, if that. Between all of the retailers which we track, which is hundreds, were probably tracking 100 million visitors, probably coming up to 10 million identified customers that we have data on and are able to communicate with. So you know, the numbers are chunky but these are not big big big, this is not proper big data. From the retailer's point of view, it's nice to know that the concept and trend of big data has opened their eyes towards the simple concept of data itself. And that's I think the biggest win here. And I think they need to not worry about whether it's big or whether it's small, I think they need to worry about what are the actionable benefits of the business that they are able to drive using data. And that is actually why Ometria is a full on both customer insight but also marketing platform. Because we don't believe that a mid-tier retailer has the capacity, the time, the resources, the money, the know-how necessarily even, to be able to act on the data in a manual way. So what they need is a full on solution that pretty much acts on that data on their behalf and educates them to be better and better at doing it. So really my answer is, and obviously I'm coming at it from the approach of being CEO and Founder of Ometria so this is what I live and breathe every day, but our approach is you absolutely do need to harness all of the data you are collecting on the customers because you have so much that’s so valuable, but you need to do it in a way that's not going to take up a lot of time and not going to cost a lot of money and that will drive higher engagement and more revenues. And that's exactly what we've set out to do and what we do right now with so many mid-tier retailers. Kunle: I'll circle it in to asking you what the benefits of the 360° customer view is. Could you define it, and what data points should online retailers have on each customer? And when does it become too much data, if that makes sense, or OTT? Yeah, so what key data points will actually help you make more money in general? Ivan: Yes. Well so let's start right at the top. So basically, what data can you collect about a customer? So every time they make a purchase, that goes and sits in your e-commerce platform, so you've got some stuff going on there, you know exactly who they are because obviously they have to identify themselves during the purchase. And then you know what they bought. So that's a nice first initial set, because you can start working from that. Then to make it more interesting you can lump on, on top of that. What have they been doing on the website? Now for that you need the technology that's able to identify them on the website and link together all their devices when they visit to be able to say, 'Okay, well now this person not just you know, what they purchased, but now this person's been looking at certain things. And maybe the added something to basket but they didn't finish the purchase and so on. So that's kind of a secondary data set, this is the interaction data for that customer with your website. Then you got the way they interact with your messaging. Now email is the easiest one to on that out of. So is that person opening emails, clicking emails, you know are they engage with your email marketing. That's the third data set. And then over time you can add more complexities, you can include things like refunds which will probably sit in a different system. You can include for multichannel retailing, we've got a whole bunch of multichannel retailers. You can include off-line transactions, and that's taking it to a whole other level, you know we love that because it makes the puzzle even more complex which of course we love because we love solving complex puzzles. So you can include the fact that they've seen the message and then browsed something but then gone in and bought it in a store. So that's like another data set to add. And these are the steps incrementally that a e-commerce marketer should be adding. So first of all, purchases, you've got that, there's no excuse to not be leveraging that. Second of all, interaction on the website: harder because you need a technology platform for that. Third of all, interactions with your email marketing, again need to lump that together. And fourthly, all those additional things that we just talked about. Kunle: So it's a chronological journey through your funnel, and it starts all over again and again and again and it's a continuous journey. I have a question with regards to how retailers react to this data. So they see an individual customer and they see where that come from, they see how they interact messaging on the website, they see how they interact with messages they sent to them. If they’re off-line retailers, they see how they interact with off-line transactions or off-line offers. And they get this picture of a customer. What should they do next? Do they leave it to Ometria to figure out what to do next or can they proactively react to it on a case-by-case basis which I think would be time-consuming? Or can they do it en masse, like group customers based on certain patterns, if you know the group of customers tend to do the same thing or take the same steps, they group them and then they carry out the same set of actions or give the same messaging? Or does Ometria take care of everything from that perspective? Ivan: Well so, there are three stages of what's possible. Now I actually know some retailers who will see a basket abandoned on their site and pick up the telephone and actually call them. I was speaking to one last week, they're a very old shirt company in London, in Mayfair and that's what they like to do. So they like to actually call the person, they're not about the automation. Then I guess the next step up is what most people are starting to do now, which is where you start segmenting based on that data. So you're like, okay let me make sure that whatever messages I show to people who like shirts is going to be different to the people who like jeans. And that's becoming more and more standard. But then I guess the third and final stage, which is the only stage we focus on, it's what Ometria does in a completely automated way, is create an autonomous lifecycle marketing strategy that will deliver the right message to each individual person at the point where that message is necessary for that person, and do it in a way that's guided by the people who are setting up the strategies. So the marketing manager, or the marketing team of the retailer, but do it in a fully automated way that can then be tuned and optimized. So to give you an example, it wouldn't be a case of, 'Let's see, today's Monday, we're doing our trade meeting. Which campaign should we do and how should we segment that campaign?' That's a kind of very standard way of doing e-commerce marketing. Instead it would be, we believe that our hero customers don't need to be sent a basket abandonment email because we know that they come back on their own and actually it's a negative impact if we keep bombarding them. But we do want to reactivate our lapsing customers. So if someone hasn't bought for three months and then suddenly stops coming to the website, we need to first remind them of how amazing our brand is, but then after a while send them an offer. But actually we don't want to just send one offer, we want to see whether one offer is better than another offer, we want to see two different things running automatically. And we want to optimize for which one's better. And if you imagine a set of decisions like this that the marketing team does and actually, we have built up so much expertise in this. We've got an amazing e-commerce marketing team in-house, we have an amazing data science team in-house, so we sit and we work with each one of the retailers using Ometria to build this sort of strategy up. And then we put it into the system which takes a couple of hours to set up, and then Ometria will power all of this and will give very clear visibility on whether it's working or not. So are you driving more revenue, are you driving more engagement, or are people unsubscribing for example. And then you can very quickly pick out you know, 'No, my VIP recognition campaign, it's not actually working. We thought it was a good idea to invite people to special events after they've spent 1,000 pounds with us, but they seem to not like events and they're unsubscribing.' Cool, no problem, we can turn that off, we can change that with something. It's the future of everything, right, the future of everything is going to be artificial intelligence. Now artificial intelligence in general is something very complicated that people do at universities and at amazing companies, but there’s also a very practical side of artificial intelligence. Which is, when something is too complicated for human beings to do, in writing an individual message to 100,000 to a million customers is far too complicated for human being to do, you need to plug in a machine that's going to be able to do it under the guidance of that human being but in a super-smart, super-intelligent way. And that is exactly what we provide to online retailers. Kunle: Gotcha. So you're destructing email marketing. Ivan: Email is just the beginning. The reason I talked about email is because it's so powerful. So we right now could do email, we can do Facebook, we can do display advertising, we can but haven't yet done both SMS and direct mail. So we have an API right now that is plugged into Ometria that can send he triggered physical postcard to a person by mail. So if somebody looks at an item 3 times but doesn't buy it, we can genuinely print and delivered to them a postcard with that item. The thing is not a single retailer we worked with has actually asked to use that. So far email is by far the most relevant powerful channel, it is free or is close to free as is possible, and people still interact and react to it. I don't believe that's going to be the future forever, but I believe that for the next five years email will still be the main channel that retailers will use to communicate with customers. Kunle: So, I don't really see the need of using broadcast email services if there's an email marketing automation, apart from like Ometria, anymore. There's no point just sending out blind broadcast and I think that's what I meant by destructing email marketing platforms. Okay. Ivan: Well actually, just on that point, there's certain things that's extremely powerful using Ometria. So let's say you want to launch a new product. You can send a batch email to the people that our system beliefs are most interested in the new product, based on the profiling and everything. And sure, that's very powerful. And then you can follow that up with automated responses, so if someone doesn't open it, another one is sent. If someone opens and buys, you say, 'Listen: thank you, here is an offer,' or whatever else. But we actually don't think that the full broadcast email will ever disappear. Just because these businesses are founded by creative people. Anyone who starts an e-commerce business, they are someone who's gone on a journey, they've gone on this epic adventure and they believe in their brand, it's something that's a part of them. And every so often they're going to want to email all of their customers with something about their brand and it's going to be something that's not automated, it's not going to be personalized, it's just going to be that individual wanting to say something to all the people that have believed them. And I think for that reason broadcast email will also stay in parallel to all the really smart stuff that we're doing. Kunle: Okay. What about platforms like Bronto? Ivan: We are Bronto partners. We actually doing an event with Bronto in October, so if you are around please to come along, I'll drop you the details, it's going to be an awesome event. It's with Bronto, with SLI Systems, and with Screen Pages. Ivan: We're also partners with Dotmailer, with partners with the number of email service providers. Basically we have a brain that email service providers haven't been able to build because they are an established email platform, right. I mean Bronto sold for 200 million to NetSuite. You know, as an entrepreneur if I was the founder of that business I would be extremely happy, right? And so they clearly built a product that works, they built a product that many people want to buy and they use and they're very happy with. We have built a very different product. We built a product that's built specifically for online retailers and multichannel retailers. We don't work with anyone else, you can't plug this into I do know some B2B business or a travel business or something like that and start sending emails. What you can do is within a few minutes get all the necessary data into our system, literally five minutes set up, and you can immediately set up an automated marketing strategy that's hugely personalized and does product recommendation, it does everything that you need. Bronto on the other hand have amazing tools for sending broadcast emails, for being able to do template creation, for being able to do also two things that we don't have because we're not a fully featured email service provider. So what typically happens is that people will let us in, we will synch into Bronto all sorts of different things like lifecycle stages. So then you'll have in Bronto - who are my hero customers, my VIPs, my lapsing, my risk, all of that. This data will come from Ometria into them and you'll be able to then, for example, segment your broadcast emails if you wanted. But Ometria takes care of the 1 to 1. We take care of the direct push messaging that's personalized and that really drives that very clear results. Only for that one person - but over and over and over again, for your entire customer database. Kunle: Going into website, that same page I was on I had the impression that Ometria was almost like a CRM system for e-commerce. Do you have like photographs of, could you pull the social media profiles off the back of their email addresses, things like that and kind of have a individual personalized look at each person on your database, or each contact? Ivan: Absolutely. We have a page where you can literally go in and so you can choose either full database or you could segment it down by the most amazing things possible. So you can be like, 'Okay, show me people who have looked at shirts but haven't bought them, and their high value customers.' And then you have a list of them and you can go into any one of them and then you can see their full activity streams. So what has this person been doing recently. And you can absolutely pull in that picture but actually we've turned that feature off. So you know Gravatars right? Kunle: Okay. (laughs) So it's pretty much like CRM, like an automated CRM platform. Okay, let's talk metrics. Beyond conversion rates, transactions, sales, average order value, revenue, what core metrics should e-tailers track? Ivan: Forgetting Ometria at the moment and where we focused on right, if you are running an e-commerce business you've literally got visits, conversion rate, average order value, right? Like, that is your formula. That's like, Avinash's (?) formula, everyone has basically just memorized it. So those three, when you're starting out, when you're a small to early medium-sized business you just need to keep driving those visits, you need to make sure your average order value's as high as possible, and then you can optimize conversion in whatever way you can, but you know probably not through a six-month long A/B test. But then really when you move past that, that's where the retention side gets interesting. And one of the things we do, the first step of our trial, so we offer a trial of Ometria to anyone on Magento, Shopify, or Spree just because of how easy it is to plug in and integrate so we do a completely free trial. The first step of all of this is actually to do an insights report. And one of my cofounders, James, is our Chief Customer Officer and as Chief Customer Officer is only responsibility is to ensure that everyone who uses Ometria sees a clear tangible benefit. He spends all of his time working with all of our customers, working with all of our retailers, and it's amazingly powerful what he's been able to achieve by doing that. But basically his first Insights Report actually goes through a number of metrics that are relevant. First step is to identify for example, how your repeat customers compare with your new customers. So within each month how many of the orders coming through our are being driven by existing customers that you've acquired previously versus new ones that you're acquiring and paying for right now. After that, what is the distribution of your revenue by the different segments or proportions of your customer base. So identifying the hero customers who will probably be 10% of the total size of your database, but who will almost certainly drive 50% plus, and in some cases 80% of all of the revenue to your business. And if that's the case, which in often it is, then why on earth are you spending time on the other 90%? You got this amazing hero customer segment, just find out how you can get more of those guys, where did they come from, how do you get them to spend more money? And so these sort of database retention metrics become more and more relevant as you grow bigger as a business. You know, there's lots of numbers, I'm sure use hurt them and I'm sure other people have mentioned them, but there's lots of numbers about how much cheaper it is to get an existing customer to buy again compared to acquiring a new one. You know, between 2 times and 10 times, depending on who you listen to. There's also took numbers that companies like Forrester and Gartner have come out with where if you increase your retention rate by 25% increase revenues by 125%, that's definitely a number that's floating around on the Internet somewhere, I can't remember the exact attribution of who came up with it but it was definitely one of those sort of bigger consultancies. Kunle: It was Forrester's or Gartner's, yes I have come across it. Ivan: In some ways, yes. So basically we have businesses that are totally different using Ometria. We have businesses that have (inaudible: ‘viewer sees tonality’? 00:49:35), so these are alcohol companies, vaping companies, medical companies, coffee companies these guys I mean you were drinking coffee every day, it doesn't really matter what day of the year, what season it is. But equally we of course have fashion retailers. And then on the other hand we have a bed company, Silent Night, as you can imagine their repeat purchases in an order of magnitude of years, not in an order of magnitude of days. So very different companies will have very different data sets and metrics, and the system has to take that into account. But even more importantly, if this is something that's so custom, that's completely different to anything we've done before, we have our data science team that has the ability to tune and tweak it in any way relevant. So you know we have some businesses that for example have four completely different categories, with four completely different purchase cycles, and that's fine. That just means instead of doing a one off like we do for another business, we just dig further and deeper into it and we set up completely different strategies for each one of those strands. Kunle: So I presume CLV would adjust according to the type of business? Ivan: Absolutely. That's exactly right. Not only type of business, but also if it's a case of the one that I just mentioned, if they have different categories you'd actually have completely different CLV's for people depending on their product of first purchase because then you can estimate that they're going to be a this buyer instead of a that buyer. Kunle: Okay, what about customer success? It's quite huge in SaaS. Some of our listeners are not very familiar of customer success. Could you break down what customer success is, it's SaaS origins, and how it will be relevant to mid-tier e-commerce in particular, please? Ivan: Yeah, so I guess again two sides. First of all, customer success within Ometria: we see two core tenants of Ometria that we have always over-invested in and will continue to do so. We're actually closing our next funding round right now pretty much, today hopefully, signatures on Monday. And you know the first hire we've made out of that has been to the customer success team. The first one is product, though. Product is key. We have to have a technology platform that is extremely powerful yet extremely easy to use and this is what we spend all of our time doing. The second part is that we have to have a Customer Success team that ensures that every single person who has started using Ometria sees a clear tangible benefit in the shortest time possible. So what that looks like in reality is, James our Chief Customer Officer has under him the team of specialists who are ex-e-commerce marketers. So who were working within online retailers doing marketing and they know exactly what to do but they also know how to use Ometria. He has a team, a data science team, and they're to ensure the numbers, so things like predicted lifetime value analysis, things like this category, order gap analysis, can be done. And then a general support team of people who know how to use Ometria platform itself, so what do the functionality do you know, how can we get something done. And that team is effectively available to every single one of our customers reactively, but also proactively approaches each one to make suggestions. So even on our lowest pricing tier, even if you're just on 800 pounds a month we will be sitting down with you at least once a month proactively to say here's some things that need to be updated, here's some things that you should be doing that you're not doing now, here is a way of improving your marketing using the Ometria platform. So that's kind of the SaaS/Ometria approach to customer success, from an e-commerce point of view. I think customer success is in a term that's typically used mainly because you're not going to be spending as much time with each one of your customers, you're unlikely to be as proactive. But one of my favorite books that I read in recent times has been Delivering Happiness by Tony Hsieh. Ivan: Right? That guy's clearly the man, because he's able to build a customer success strategy, he's been able to build a billion-dollar company based around customer success and nothing more. Let’s be honest, if I were starting an e-commerce business then - shoes, holding stock - probably not the way I'd go but he has clearly proved me wrong there. Kunle: (laughs) I was looking at a info graphic the other day and it's til today Amazon's biggest acquisition, compared to every other acquisition. Ivan: Absolutely amazing story. So really, I have very little to add other than read that book, and that is how you should treat your customers, and just do everything that those guys do and you will be successful. Kunle: I'll link up to it in the show notes. Okay, so finally with regards to metrics, what practical tips would you have for increasing and improving customer lifetime value to retailers listening? Ivan: Sure, so customer lifetime value is basically then driven by, 'Can you get them to buy again?' So yes, even before that you can acquire customers who are likely to have bigger customer lifetime value. And you can quite easily work out the channels that are going to drive you the 'bad' customers. So for example, if you're doing everything from AdWords, social media paid advertising, to affiiliates, you will have a range of places that your customers come from, maybe you know 20 different places. Analyse that by customer lifetime value, so not just the last click revenue, not just like what they buy in their first order, but do these guys actually come back and spend time? You'll probably find you know, a couple of affiliates that don't really send you the right kind of people, they send you the kind of people that buy, one, on discount and then you know return all the stuff later. So you can sort of cut that out and double-down on the channels that are driving the high value customers. But that, you know that's not really anywhere near as powerful as actually taking the customers that you've got and getting them to spend actually more money with your store. Getting them to come back, making more and more purchases. So really, personalized individual communication to each one them based on a model that increases the chances of them buying again, that is the way to go. If you want to start easy, if you want to just do something without having to spend time or money on it, just go and set up a basket about them and campaign. If you haven't got that running now, just go and set it up. You can do it at a sort of 'hacked together' way, if you don't want to spend money or you can't afford to spend money on a sort of tool let's say, like Ometria, you can just go and hack it together within Shopify, within Magento. It will drive more revenue to your business because it will get your existing customers to come back and buy for that second time. And just imagine extrapolating that out to all sorts of other different communications that you can do. Kunle: Phenomenal. Thanks, Ivan, yeah really, really good stuff. Okay, let's talk Ometria. Where are you guys now in terms of customers? You were founded and got out end of 2013 you had your first set of customers. It's 2015 now, where are you in terms of customers? How manly customers do you have, roughly? Ivan: Yeah, so we've been trading for about a year I guess, just over a year because we've started getting the renewals which is a great feeling by the way. So when a retailer comes back and says like, 'Yes we want to go again for another 12 months,' we're like, 'Okay, we're in the game.' So yeah, we've been trading for about... So I can't remember the exact numbers, there's definitely over 100 sites using Ometria right now, but we're not at 200 yet but basically somewhere in the middle between those. So we've grown very, very quickly. And I guess the thing that I'm particularly proud of as well is the broad range of the types of retailers and e-commmerce businesses that we've worked with. Because it's not just for example, cutting edge start-ups. We've got a whole bunch of cutting edge, VC-backed start-ups - Swoon Edition, RAD, I mean thee guy have just grown by a phenomenal amount. They're very data driven, they know exactly what they're doing. Kunle: What's the second one after Swoon Edition? Ivan: RAD, so rad.co - they're a Index Venture backed startup in France. They are probably the most advanced marketers that we know of. They do some crazy stuff with Facebook, they you know, these guys are smashing it. The other day one of the Kardashian sisters, I don't think it was Kim, I think it was one of the other ones, Instagramed that they were her favorite e-commerce site of right now and could you imagine, that must have just driven the most crazy customer acquisitions for them. Ivan: Yeah, so we've got these kind of superhip, supercool, very smart VC-backed start-ups. But then also we have John Smedley who is the oldest continually running clothing manufacturer in the UK. They're 260 years old as a company. So, right at the other end of the scale. And we've got a whole bunch of these established, well-known firms. John Smedley, Temperly clothing, Bench, you know these kind of well-known names are high-street and luxury fashion names. So it's great to have been able to see that the product that we've built is truly valuable to any e-commerce site, to any online retailer, to any multi-channel retailer. Kunle: Mmm. And what's your price point? Ivan: So we start at 800 pounds a month for I guess our starter package, the Basic tier. That's basically for companies who are running one of Magento, Shopify, or Spree, and who are using one of the standard ESP's so like a Mailchimp or a Dotmailer or a Bronto. So nothing complicated for the set-up, something that we can plugin within five minutes. And for them, we give them out of the box functionality to all the customer insights we discussed. And also, out of the box functionality to do I guess 'packaged' automation shall we say. So automation that's not massively customized, it's just something that will get them going and make lots of money. So this is things like anti-lapse, loyalty recognition post-purchase, basket abandonment and browser abandonment, so things that are quite easy to understand and set up. Then as you move forward at 1,500 a month which is our Professional tier, our next tier up, you start getting more functionality as well as the ability to plugin to any kind of platform, so custom website, pretty much any sort of ESP and at that point your ability to do automation is pretty much unconstrained. So we have some retailers who will have 18 different things going on at the same time, so for the French store you'll have and A/B tested triple-split basket abandonment campaign where some people will receive it, some people won't receive it for a week but then get an offer, some people will get three messages in a row. And they're doing it based on customer segmentation and an A/B test within it and it's very, very cool to see but it's basically you know, at that point you need both more customers and a bit more resource internally to be able to keep that up. But the benefits, that company that's doing the sort of 18 campaign, they're paying us, you know I won't mention who they are because we're obviously not allowed to, but they're paying us 1,500 a month, they generated 30K last month from the campaign. So they're probably the happiest we've got in terms of ROI, you know. And then of course it goes up, so at the top end we have companies paying us 50K plus a year because they are multi-channel, because they have multiple international sites, because they need data science support, and so of course once you're sort of a larger retailer then it's very much a sort of a tailored package for exactly what they need to plugin to and exactly how much support they need. Kunle: Okay. And so can you actually run loyalty campaigns from Ometria? Ivan: Yes. So loyalty recognition, yes. So what we don't do is we don't sort of collect points and things like that. For us the way we see loyalty is based on that engagement and purchasing. So if somebody keeps spending money with you, we can very much use that as an input into the automation strategy. But we are not a loyalty scheme provider, we're not going to give you people cards or points and stuff. Kunle: Okay, and with regards to the tiers, is it capped by the number of contacts in the retailer's database or is it just based on the features of Ometria? Ivan: It's both basically, so it's both. We've tiered it in such a way that we know that the smaller retailers first of all, they can't afford to pay more. Secondly, they don't have that much data. And thirdly, they won't be able to use the more advanced features because they don't typically have the resource or the time. So that's why we have the lower tier both restricted in term of functionality and cheaper. The tiers are also capped in terms of the number of contacts in the database and the number of visits to the site because we're tracking every single visit and connecting to every single contact and so therefore the bigger the retailer, the more likely we are to need to put them in their own chart of the database or effectively there is a cost to us of having more data being crunched. But of course the bigger retailers also need more support which is also why we use that to measure how likely they are to have a bigger team that requires a lot more support requirement for us. That's why some of the larger retailers we have pay even more than our standard tiers, purely because of what those numbers are. Kunle: Gotcha. And would you mind sharing where you are with regards to revenue one year in? Ivan: Yeah, so revenue's not something that we talk about. To be honest that's not something that most SaaS businesses talk about. It's a competitive industry not in terms of what we do, so we actually don't come up against competitors, which is amazing. We're educating the market so often people say you know, ‘What's the point of all of this? We're quite happy sending newsletters with Mailchimp.’ That does happen. But we're not facing any direct competition. We are however competing for capital against the other companies. And therefore, just like every other SaaS business we don't typically talk about revenues. We're happy to talk about things like customers and the sort of data points that we capture. We're happy to talk about growth, so we're currently doing 600% year on year growth and that's expected to carry on. So it's good, it's all very good and that's allowed us to close this latest Round and so we'll be announcing that in hopefully in about a month or so we'll be doing public announcement of this Round that has been closed now. So everything has been going in the right direction, but I think we'll have to wait until we're public before we start announcing revenue. Kunle: Fantastic. Fully understand. But 600% growth is phenomenal. Okay, let's...This has kind of fascinated me, from a company called Culture Standpoint. I was just wondering, for those of you who are not very familiar with London, I was just wondering why you're based in the West End because I saw your address was a W1 postcode. Are not Silicon around about the East End? Is it another company culture thing or a...? Ivan: Do you know what, it's actually slightly detrimental to the company culture. I wouldn't say detrimental, that's probably too much, but it's not for company culture at all. It's slightly annoying for my engineers, my devs, to come over. They obviously live in the East End, you know they hang out with all of their friends there. But if you are an enterprise software company and you want to hit it hard, and you don't want to spend ages trying to acquire those first customers it doesn't make sense to be over East because that's not where your customers are and that's not where the credibility is. So we, from the very beginning, wanted to present ourselves as a very strong enterprise software company. We builld technology that is you know, it's not a start-up technology. This isn't an app, this isn't a website. We are building a technology that scales. We're building technology that's safe, it's secure. People are trusting us with really important customer data. I mean in some cases you know, so extremely sensitive that breaches are not something that they are able to put up with, they're not able to tolerate. And so we wanted to ensure that we treated ourselves in that same way and being based in Mayfair where the other companies are: Box, Zuora, you know the sort of the best software enterprise companies are literally just around the corner from us. And it just gave us first of all the mentality, but secondly the credibility as we were starting out. In a year's time we're going to move further east. We won't go to Shoreditch, that's a bit too cool shall we say. (laughs) But we will end up somewhere a little more central, so you know, we're looking around Clarke and Well Hall and those sort of areas right now. We're going to, so we're 15 people going to 20 people within a month so I'm hiring right now, I've got 5 more people to hire. And then we're going to go from 20 to 40 in the coming year or year and a half. And so we will run out of space at 20 - 25 so we're already going to start looking in the short term future to see where we can move. Kunle: I like the anchor effect. Okay. Right, so yeah, final set of questions. What one piece of advice would you give to mid-tier retailers keen on rapidly growing their e-commerce ventures? Ivan: Well so, if they're mid-tier then at that point it is definitely time to ensure that every single message that you send to your customers is personalized based on what should be sent to them right now. And that you absolutely stop doing anything that is going to have a chance of delivering to them a message that they're not going to want to see. Because they can push that unsubscribe button or they can even press spam in Gmail, or they can use Sandbox that unroll me and all of these other tools. So unless you're getting it completely right, you're going to lose the war against them. So that's my number one piece of advice to a mid-tier retailer that's already got that list built, that database, that credibility. Kunle: Good point. Know your customer and send them really targeted messages. Okay. Now if you could choose a single book or resource that made the highest impact on how you view building the business and growth, which would it be? Ivan: Okay. I guess at the moment I've got this book going through my head over and over but really it's Elon Musk's bioraphy. It's very new, there's stuff there's from a long time ago I mean there's some amazing books that I've read. Rich Dad Poor Dad. Every single person I meet who I feel like I sort of have an entrepenuerial connection with, within half an hour we realise that we've both read that book your know 15 years ago. But right now, Eon Musk's biography has pretty much changed my life because I wasn't able to put it down. I've obviously read about him in articles and stuff like that but actually hearing the story, hearing how much he was willing to sacrifice, how often he came close to losing everything. It really... if you're building a business, it's going to show you that anything is possible and that really you've got nothing to worry about because there are people that had much bigger challenges and have surmounted them. Kunle: Fantastic. I shall link to both books in the show notes. Okay. And how do you hire people? Ivan: Well, so first of all we've got the Ometria Culture Deck, so google the Ometria Culture Deck as that really describes the kind of people that we want to hire. And very often that allows them to self-select, because a lot of people will look at it and be like, 'No, I don't want to be with those guys.' And that's great because that means they're not sort of one of us. But then we'll have loads of people who actually come and they're like, 'Wow, we saw that Culture Deck, that's exactly what we want to be doing. Can you please interview us?' There have been two people in particular that I really wish I could find a role for them in my business right now, because they have persevered for over a year now wanting to join the company because they feel they'd be a good cultural fit. And I know they'd be a good cultural fit because I've spent some time with them. I'm just trying to find the right role for them. But in terms of hiring, it is immensely difficult. I need three engineers right now so if anyone's listening, we've got a job space, please check it out. I need two sales people, we're expanding quickly. Again, same thing. Through the network, through talking to people, we use some agencies, we use some referrals. But ultimately it's just a case of doing everything possible to spread the word about our culture and the word about the fact that we're hiring, and hoping that the right people come and present themselves to us. Kunle: Okay, fantastic. How do we get access to the Ometria Culture Deck? Ivan: So literally google it, Ometria Culture Deck. It's called We Are Ometrian. Kunle: Ah, it's on SlideDeck, found it. I shall link to it. Ivan: Yeah, it's good. It's on SlideShare, it's on my blog, it's on loads of places. Kunle: Awesome. Good stuff, good stuff. Okay, any three indispensable tools you use for managing Ometria as your business? Ivan: Yes. I guess I have lots of indispensable tools, it's interesting. So when I turn on my computer and I open my tabs, I'll always have a couple of tabs running. I use Google Keep, which basically is a digital version of Post-It notes. So I use Evernote as my main note taking tool, but I use Google Keep to manage my team. So right now I've clicked on it to have a look. I've got my marketing weekly plan shared with Hannah, my Marketing Manager, sales weekly plan shared with Josh who heads up Sales for us. I've now got our e-commerce plan shared with Paul, who's come in to join us as Head of eCommerce. And so I have all of the outcomes that I want to drive, and so I know that they also have this on their screen and therefore that is my way of ensuring that we are linked even if I'm pitching to investors or at a client meeting or on holiday. So that's a super useful way to manage my direct reports to the teams that really works the closest with me. I then have a Google Sheet which I look at every single day. It is one ginormous financial model that was built by Djalal, my co-founder, and I pretty much live in it. It has a number of tabs, it has our SaaS KPI's so how many customers have we acquired, how many customers have churned which is none yet, you know what's our MIR, what's CMIR growth, what's our customer acquisition cost, what's our pay-back period. All of this, basically. And then that's fed by a much bigger one, which includes all of our hiring plans for the next four years, so we've got the projected output for four years, I've got you know 150 sales people joining at this rate so we'll see if that actually plays out. (laughs) But I basically spend. So this is tool number two. Kunle: Yeah, Silicon Real, yes. Ivan: Those guys are awesome. Kunle: Absolutely, absolutely. Okay, finally, could you let our audience know how they could find and reach you, or just reach out to you really? Ivan: Yeah, so IvanMazour.com is my blog so please check it out, subscribe. I don't write often but hopefully you'll see that when I write it's useful/interesting. @IvanMazour on Twitter. Otherwise I have a very sound email address Ivan@Ometria.com you can always find me there or me@IvanMazour.com. So basically loads of ways, you can't miss me. IvanMazour.com is probably the easiest way because every other contact detail is on there anyway. Kunle: I'll link to it and for our listeners he's got the best ever About Us page I've ever read (laughs). I was on it this morning and like, wow, I read the entire thing. Okay, it's been an absolute pleasure having you on here, Ivan, and thank you for sharing your insights on CLV, on Ometria, on growing businesses, e-commerce businesses. Thank you for coming on 2X eCommerce, sir. Ivan: Thank you for having me today, this has been fun, I'm happy to do it anytime. Thanks again. 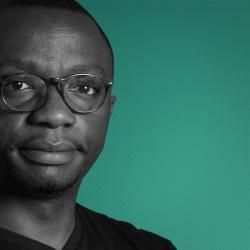 It’s a blog dedicated to eCommerce and multichannel marketing run by the show’s host, Kunle Campbell. 2XeCommerce.com is packed full of articles and guides to help increase traffic to your store, increase repeat purchases and average order value.